Went for a quick overnight on the Grand Mesa here in western Colorado. It sits at about 10,000ft and has over 200 lakes on it. A great escape from the heat for sure. Around midnight I woke to what I thought was a large rodent encroaching upon my van. I could hear it scratching and gnawing. Eventually I got up after my banging and cussing from the interior had little effect. Upon exterior inspection I found a mid sized porcupine taking up residence in my house battery tray. I wasn't even sure that he wasn't stuck. Despite some verbal assault and gentle prodding with a stick it was unfazed by my actions. Given his position in relation to me kneeling on the ground in my underwear I felt that I was at a tactical disadvantage should he choose to transition to an offensive strategy. I pictured myself rolling over backwards with an angry porcupine at my jugular as he aggressively filled me with quills. At any rate I went back to bed and woke a few more times cursing him as he scratched and gnawed at something near the drivers side frame rail. Eventually around 3:30 am he decided to leave. When I worked summers up in the Yukon, they would gnaw on the plywood of our wall tents in the middle of the night. 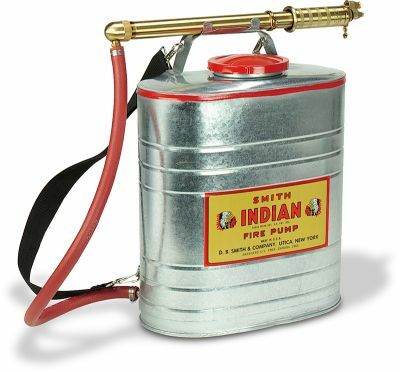 We'd take the backpack fire pumps to 'em - we called them Indian piss pumps, they could shoot a half-inch stream about 40' - and they'd scurry off pretty quickly. I certainly wouldn't want to leave a porcupine chewing on my van. Yep, piss bags as we call them! I looked two different times to see what he was chewing on but there were no vital organs there. I was wondering if he was gnawing road salt from the frame. Wow, hope he wasn't chewing on your battery wires. Given his position in relation to me kneeling on the ground in my underwear I felt that I was at a tactical disadvantage should he choose to transition to an offensive strategy. I just want to highlight this line. Excellent. I don't know if I want to be in my underwear, in the middle of the night, spraying water near my battery box. That, and if the sight of Saline in his tighty-whities didn't scare off the poor porcupine, I'm not sure a little water would do the trick. Interactions with nature at its finest... in the middle of the night, awesome!